It's always wonderful walking around Paris, unless of course you arrive in the middle of winter, in which case you probably still want to walk. It's one of those things that photographers do. Kinda like that mailman motto; "Neither snow nor rain nor ... " Okay, well maybe not that bad, but it was a bit chilly! 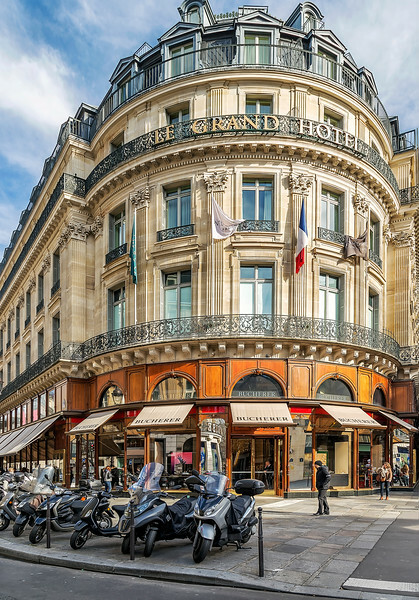 The Intercontinental Paris Le Grand Hotel is a beautiful historic hotel built in 1862. It's classic French architectural style remains a standout in a city that defines elegance.